The room becomes dizzy, faint…the room is closing in on us and we can’t breathe. …… Our eyes glaze over, we even start to develop tears with terror that someone might notice. What if someone notices????!!!! And God forbid, asks us if we are ok??? The proverbially paper-thin mask we are trying to protect ourselves with, will tear and the accumulating crescendo of what we’re experiencing and feeling may be then exposed….and our secret terror is no longer a secret. Having someone see what we are experiencing would be the epitome of hell on Earth. And I know for many, this is not an exaggeration. Whether you are the CEO of a multi-million company, the winner of 21 Olympic gold medals’ Michael Phelps or a cashier attendant at the local 7-Eleven corner convenience store, the feelings are the same…. Feeling panic, overwhelm, and experiencing panic attacks can be a silent nightmare for many of us and for many others, far from a silent nightmare. Why Is My Anxiety so Ferociously Debilitating? In a nutshell, from when we are born, our brain is wired to protect us, keep us safe from harm and stay alive. Within our brains, a small group of almond-shaped clusters of nuclei – your amygdala – become most active when you experience fear or aggression and are the starting point where your feelings of fear transpire from. When you’ve experienced a threat, been in exposure of danger where you had a negative emotional experience, your amygdala works with your hippocampus to store a memory to pay attention and be on guard from similar situations in the future. Your physical symptoms of anxiety are your alarm system. All the bodily responses you experience are your amygdala signalling your adrenal system to release epinephrine which raises your blood sugar levels and sends messages around to the right parts of your body to help you fight or get away as fast as you can. Hence we experience the above physical symptoms described at the beginning of this article. A certain amount of anxiety is therefore useful. The problem is our experiencing these reactions when we know there is no real danger or threat, or the level of arousal (anxiety) we have is not appropriate to what’s going on in our environment. 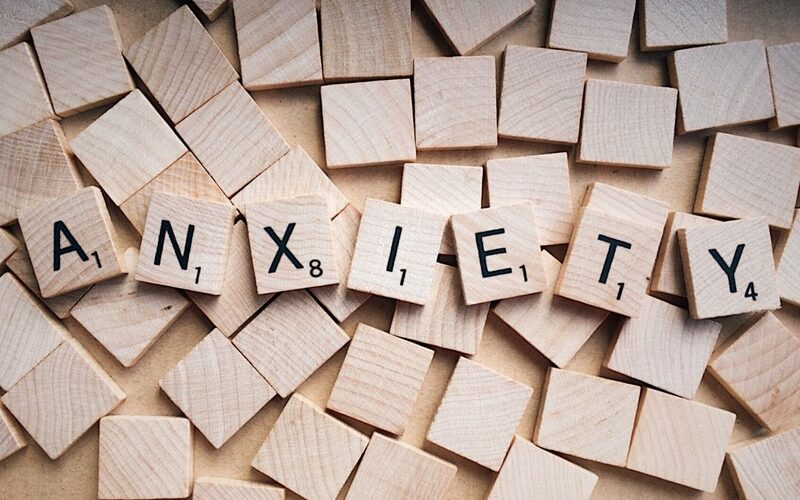 When the anxiety is always there, is referred to as general anxiety. In situations where we need to perform or deliver a result under pressure …. performance anxiety. And when we experience these symptoms more in social settings, social anxiety. So what can we do to experience relief from our current terror? Your amygdala is not a thinking part of your brain. It is designed to trigger reactionary responses to keep you safe and doesn’t care if your rational mind is saying there’s no real danger. It has reacted because other parts of your brain believe that there is. Often your mind is a washing machine and so trying to throw in another thought (let along coming up with a positive one that will work…) is going to be quite challenging. Whilst you can be telling yourself “I’m ok”, the programmed responses in your body can be so strong, that trying to get yourself to obey such a thought can be a fruitless exercise. So here are some steps that can help you experience immediate relief. a) Either close your eyes if you feel comfortable to do so. If not, focus on a spot, something that’s not moving. Breath out for more counts than you breathed in….”Breathe out….two….three….four” and let all air expel out of your lungs. d) Repeat 2 or three times to start. It can also help to anchor your dominant hand on your tummy, just below your diaphragm and focus on keeping the movement and rhythm of your breathing cycle smooth…. as smooth as silk. To help you practice, you might want to download an app to your android or smart phone. For smart phones, apps like Prana Breath, dictate and manage the rhythm for you so save you thinking about it yourself. We naturally breathe quite shallowly, so by consciously breathing more deeply in a slow rhythm, we increase our blood oxygenation, which fuels better transfer of the messages and nutrients around the rest of our body, including our brains. We give ourselves better opportunities to be productive, concentrate better, develop clarity of focus, listen more attentively and respond appropriately. Meditation experts such as Mingyur Rinpoche who have clocked thousands of hours of meditation practice, fittingly describe our minds as the Monkey Mind…constantly chattering and unfortunately in the case of anxiety, negatively chattering. So one of the best things to do is give the chattering mind something to do. Distract it. This playground childhood game has great value to us as adults. No one knows you are playing this game and you can therefore disguise your worry about those around you noticing that you feel you are spinning out of control. When you’ve exhausted the ‘As’ and you are still feeling your anxiety, move on to the ‘Bs’ and so on until you notice a reduction in your symptoms. Counting backwards in increments of 5, starting from 100 will take up space and energy in your cognitive space. So count silently to yourself “100…95…90…85…80…” and continue until you can notice a reduction in your symptoms. Coincide this with the breathing exercise above. Meditation has become a common place practice for business owners, senior leaders, professionals with high levels and amounts of responsibilities. If you watched the Australian Open, you may have seen the 5th world-ranked women’s tennis player Dominika Cibulkova publicly displaying her practice of meditation to quiet her mind between games during her match. From elite sport to the primary classrooms across Scandinavia, the UK and also the United States, Mindfulness meditation is a life strategy now being taught to help teacher and students alike manage stress, performance anxiety, aggressive behavior and other challenges. Step 1) Sit in a place where you can feel comfortable and fairly free of distraction (either in your chair without arms or legs crossed) and your back straight but relaxed. Have your hands relaxed and placed flat on your thighs; the palms of your hands can be facing down flat, or have them facing upward. Or you may wish to sit crossed legged on the floor and have your arms outstretched so your hands are face down gently on the edge of your knees. Step 2) Allow your eyes’ gaze to soften and drop it so you’re looking down at a 45 degree angle than if you are looking straight ahead at eye level. Step 3) Adopt the relaxed breathing technique described above. Step 4) Now look to observe the thoughts that might come into your mind. Simply notice what’s there…as if you are gathering information about yourself…what self-talk comes up? What images come up? But refrain from looking to understand why they come up…just notice and observe…keep collecting information. Step 5) If you become distracted… your thoughts are ‘running away’ on a specific tangent, gently draw your attention back to the rhythm of your breath. Let that be your anchor…then gently go back to observing. If you hear noises that distract you, notice them and come back. If you smell something different, notice it, then come back to the breath and start observing again. You may wish to set yourself a timer for about 2-5 minutes to start with. The time can pass amazingly quickly, but the benefit you have honoured yourself mentally and physically can be quite profound. Meditation is highly recommended as a daily practice, or even multiple-times-a-day practice. Choose a comfortable part of the day to start with if meditation is not something you’ve done before. Is the morning better to help you set the tone of your day? Or is night more comfortable for you to help you process your day and enable you to better sleep at night? There are other techniques you can engage to help you identify personal patterns of thinking which are limiting and trigger anxiety, unwanted emotions. However no situation is ever the same between one individual and the next and it can be helpful to work with a qualified practitioner to help identify what techniques and pathway are suitable for you. 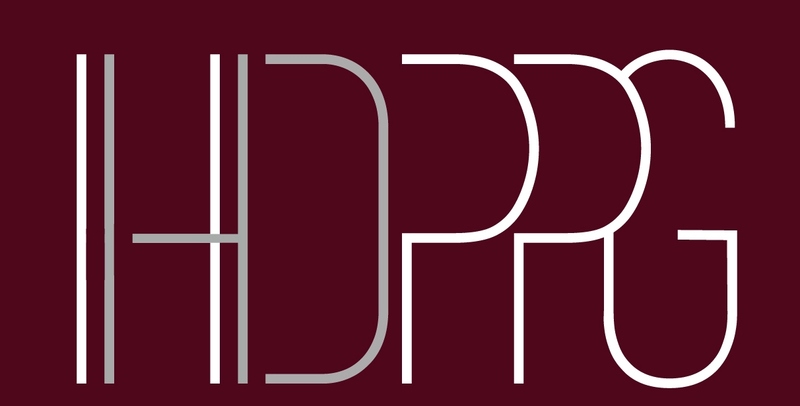 To explore and discover a pathway to experiencing relief, feel welcome to contact us directly at info@hdppg.com.au or call us on 0402 271 335 to have a short, obligation-free conversation about what you’re experiencing so we can help you start developing your own unique plan to experiencing relief. Helen is a registered psychologist, who relishes opportunities to educate and guide individuals to realise their own potential. When she’s not avidly researching, exploring and testing psychology practices and frameworks to help individuals get better results in their work and personal lives, she’s fishing off a beach chasing prize whiting, working on her golf swing at the nearest driving range, or creating gourmet recipes that help balance our brain chemistry for optimal mental health.